The first question will be where do we write the code , Open the Excel and then press “Alt+F11” and you will get the another window named as “Microsoft Visual Basic” and press “Alt+F11” and you will get back to Excel window. You can customize the location of these windows just by click+Hold+drag on the header of the window, Just make sure that its Dockable property is Checked ( right click on the header of of the window and Check “Dockable”). 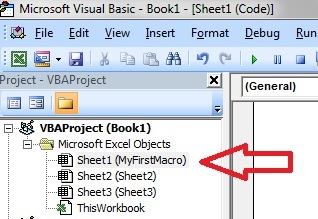 Now if you observe at Project Explorer, you can see you VBAProject(“Book1”), yes that’s your excel workbook. 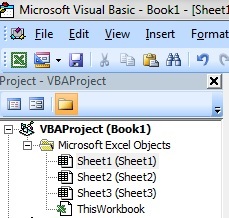 Now if you observe at Project Explorer, you can see you VBAProject(“Book1”), yes that’s you Excel workbook. 219 queries in 0.167 seconds.